Hi All. Heading to Club Med Kani on the weekend and wondering where I could find the best forecast for the North Male Atoll? Want to surf around Sultan’s, Jails, Ninja’s area. Cant help you BlakeR, but as I am off to the Maldives late next week too can anyone else point to a reasonably accurate source for swell forecasting for Maldives. I recall Donweather used to get multiple requests for his input. Any tips for the weekend and sept 20-30 DW? If you're there this weekend+ the swell generation should have occurred and/or is occurring now. The low sitting under the bite now should hopefully give you some waves as you need a more south orientated swell to refract back in. My last tip is read the Bali / ments notes. 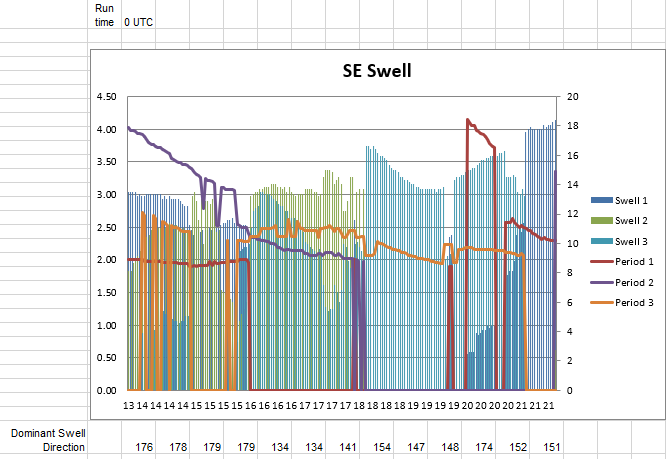 Hope for mentions of south swell and I'm guessing add another day onto the ments forecast for swell travel time. Enjoy!! Ok pattern for this next week. Should be head high to HH+, expect bigger up at cokes. Should see SE trade swell peak around 22nd, head high and a half, maybe bigger. Then downward trend with not much after 23rd. See what the models do but wouldn't expect much for the week following 23rd. Haven't been for a long time and haven't looked at forecasts either so could be waaaay off.